Something that usually doesn’t make it to tech blogs on the average day, but it’s worth a mention. 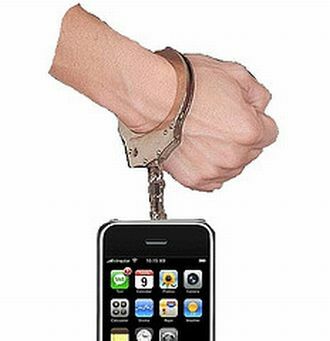 One of the impacts of smartphone and other mobile devices large adoption is increase of thieves and pick pockets. This is naturally due to the easy prey this makes one without a break-in or targeted attack. With more and more expensive smart gadgets walking with people in their pockets and hands, theft gets easier and on the rise, even in the first world. London has it’s moment, with personal theft increased by 14.4% from a year ago and as of Thursday this week, police have embarked in a major crackdown on this kind of theft. This has resulted in arrests of 209 for various offences. The patrol is quite visible, no ambushes, this is to let the petty offenders in London know authorities are after them, while at the same time increasing confidence of Londoners in their security against personal items theft. 7000 phones have been stolen over the past one month in the city, 80% of these have been iPhones while around 70% of the thefts involved mobile phones. Main targets are professional males in the ages of 20-30 around entertainment spots which is interesting as you would expect women to be more vulnerable.